(2) To bring together lawyers and friends with shared backgrounds to network and socialize. New members have been added as Finnish-American attorneys, their significant others, or, friends have read the numerous articles in the Finnish-American newspapers describing the festivities. Honorary membership has been freely extended to expand the membership "base". 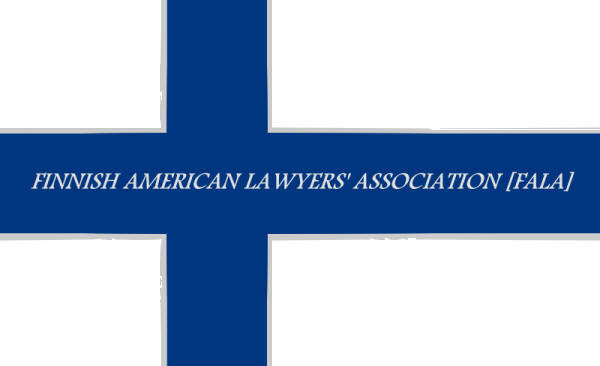 We hope to further expand our membership nationwide and ask you to forward our invitation to all American lawyers of Finnish descent to join.